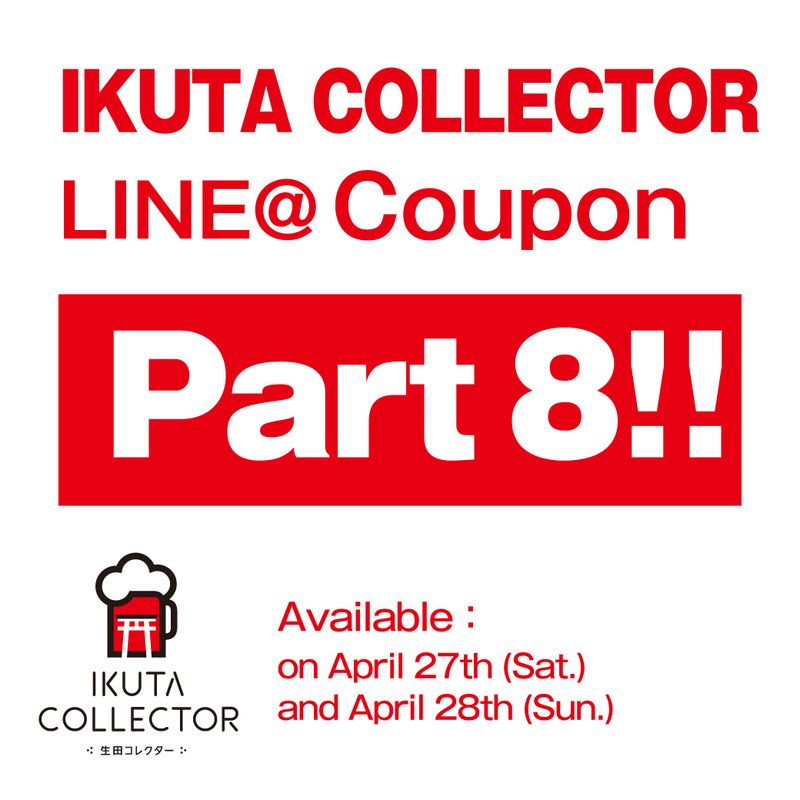 For overseas visitors coming to Kobe! 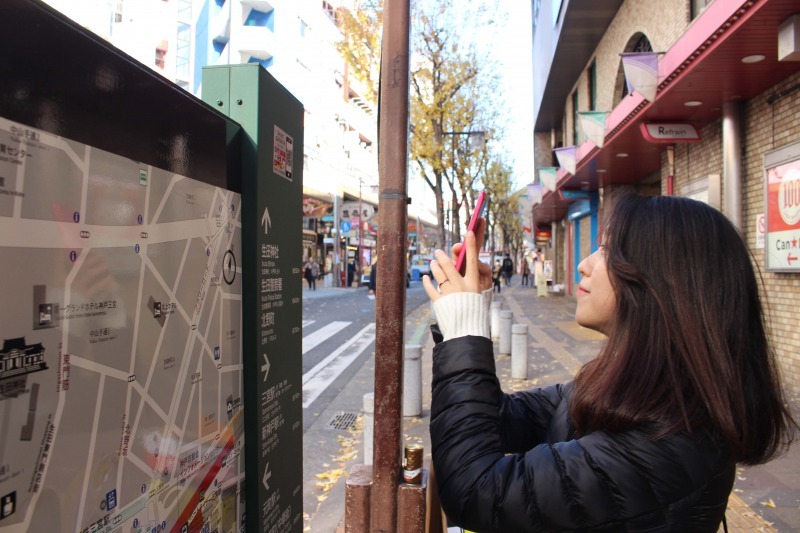 The "Smart guidance," a multi-language guidance utilizing ICT technologies. 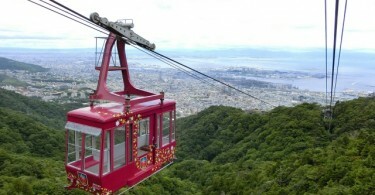 | Sightseeing | Ichibankobe Introducing the Kobe,Himeji and Hanshin・Awaji area to the world! 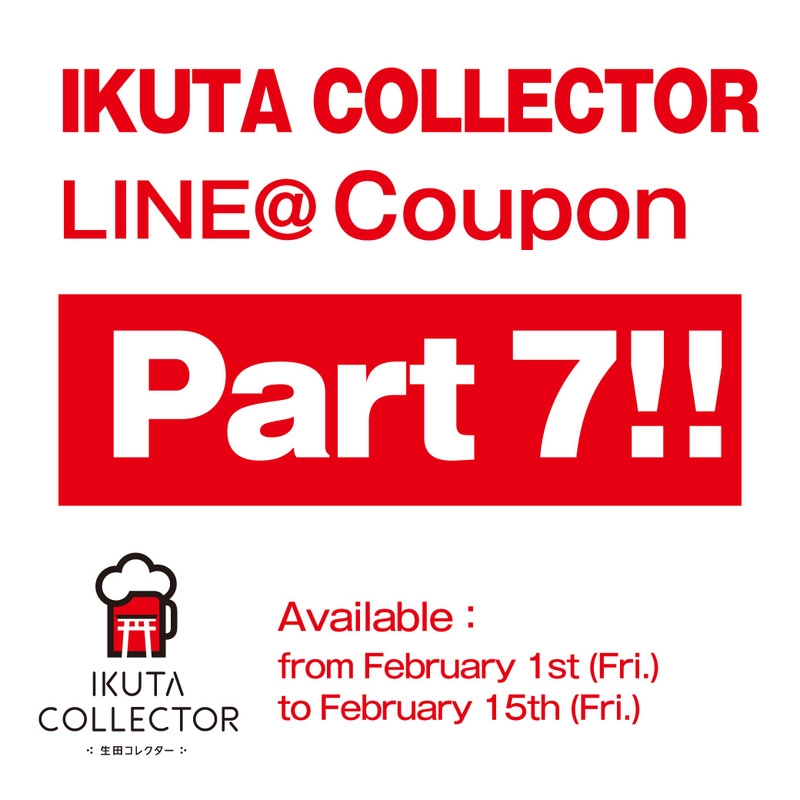 For overseas visitors coming to Kobe! 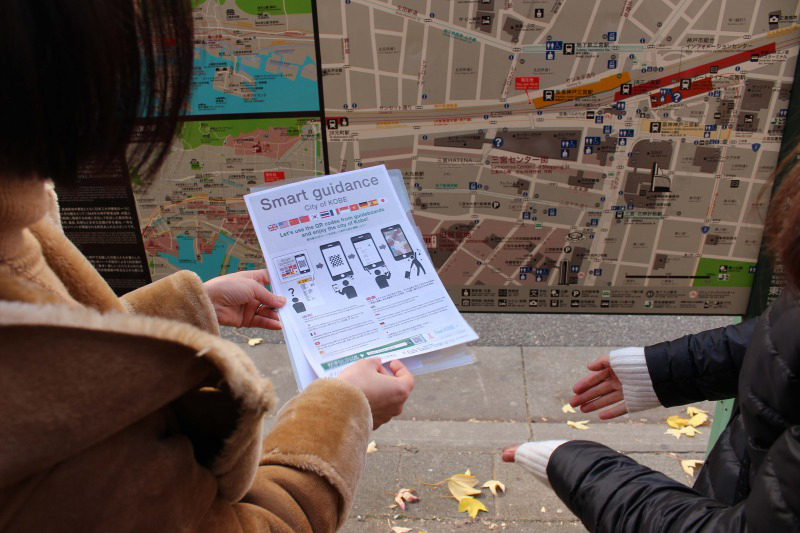 The “Smart guidance,” a multi-language guidance utilizing ICT technologies. 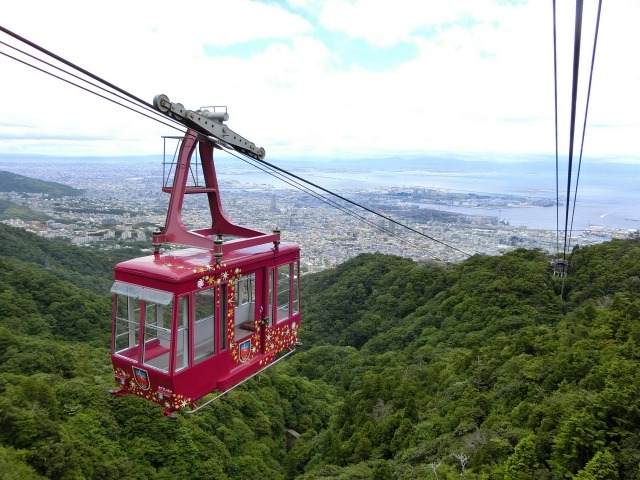 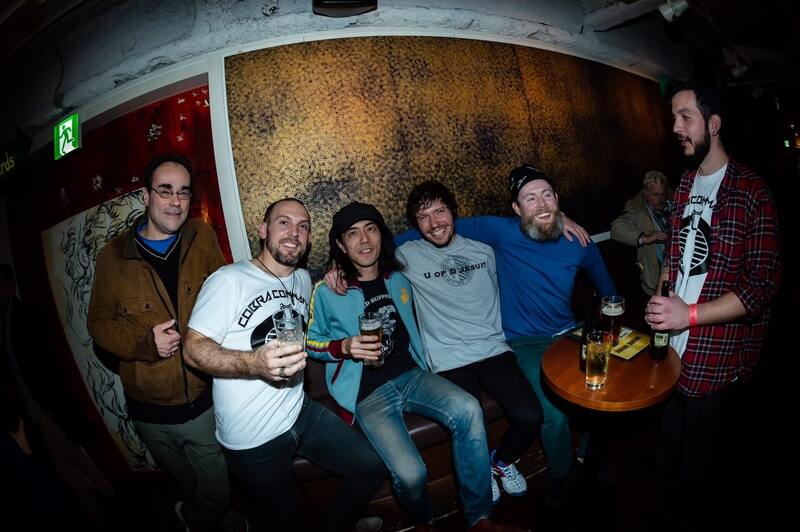 The number of foreign tourists visiting Japan has been steadily increasing thanks to upcoming world-class events in Japan such as Rugby World Cup 2019 and the Olympic and Paralympic Games Tokyo 2020. 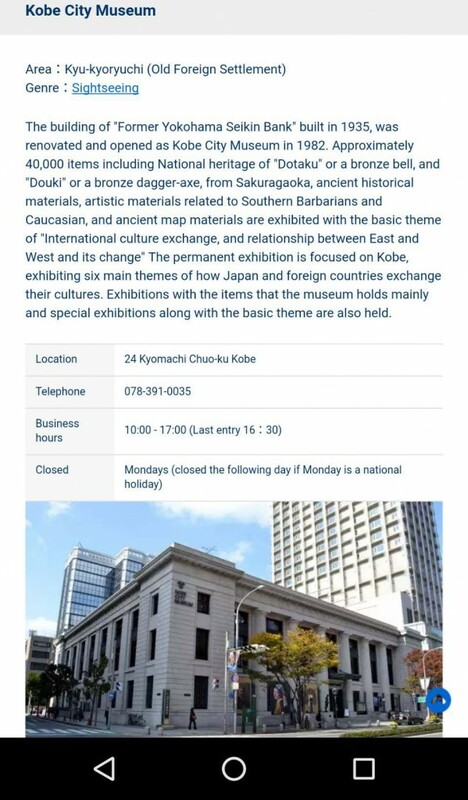 Also, celebrating the 150th anniversary of the opening of Port of Kobe, a variety of events took place here in Kobe in 2017. 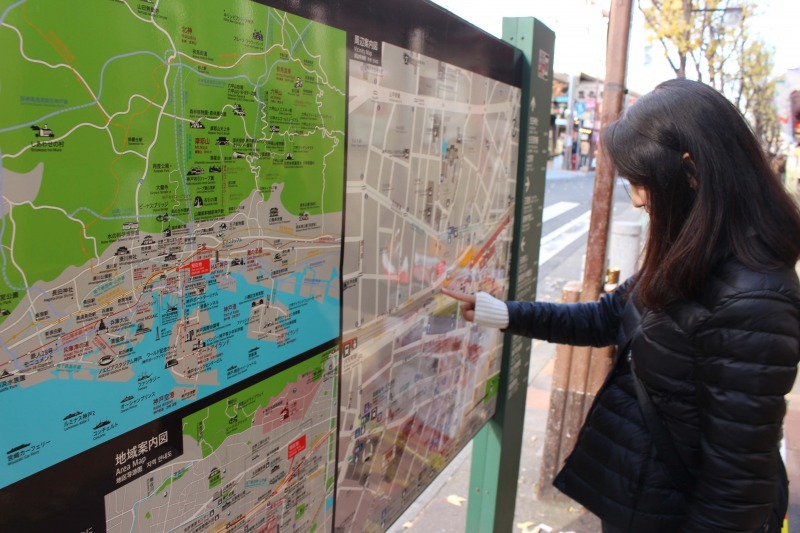 Are you aware that new functions were added to guide boards, placed throughout the city, to increase the convenience of overseas visitors? 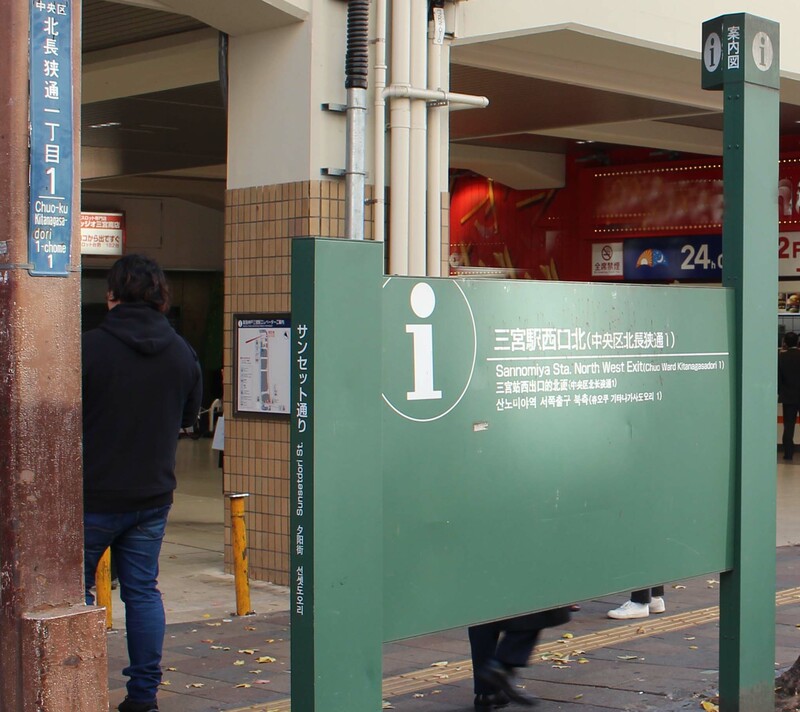 This is an effort to provide an environment where multi-national foreign visitors can easily and comfortably walk around Kobe. 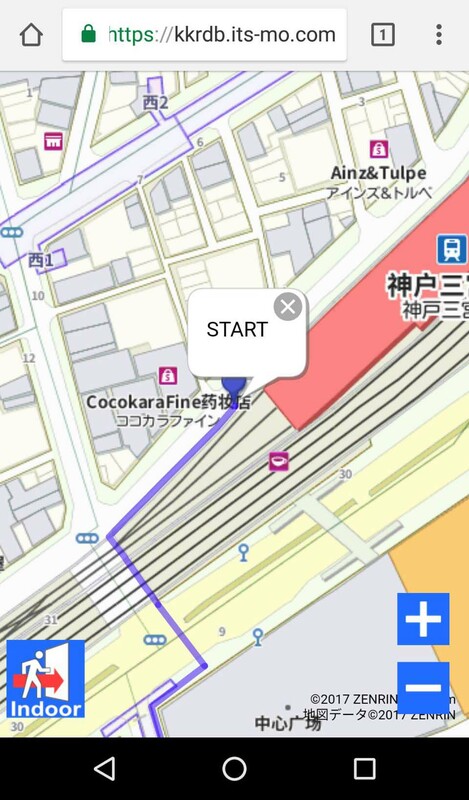 This service displays maps and routes for foreign visitors in their native languages by utilizing ICT technologies. 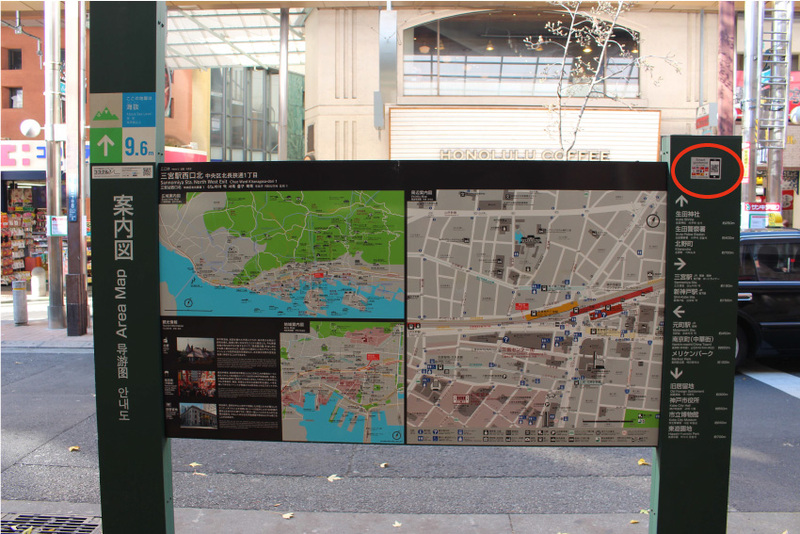 You can recognize the guide boards by finding a QR code* (2D code) on the Area Map (on the upper right corner of the image). 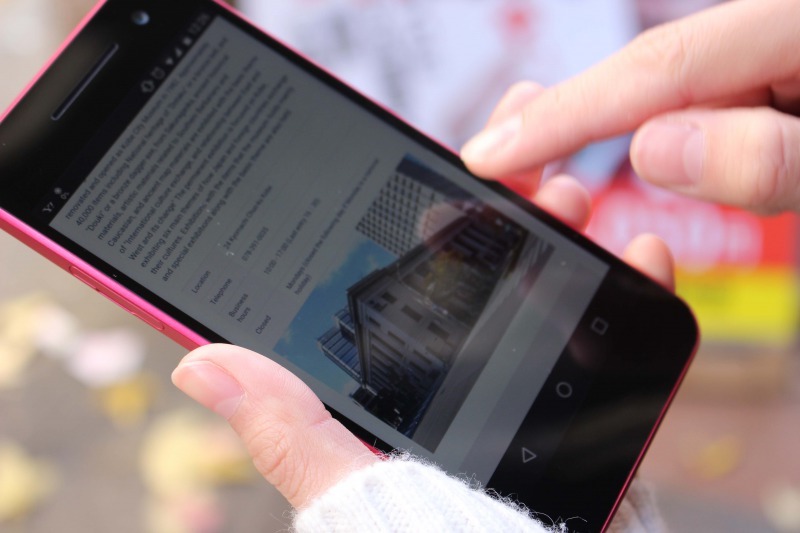 Routes to any registered facilities can be displayed by reading the QR code with your mobile phone. 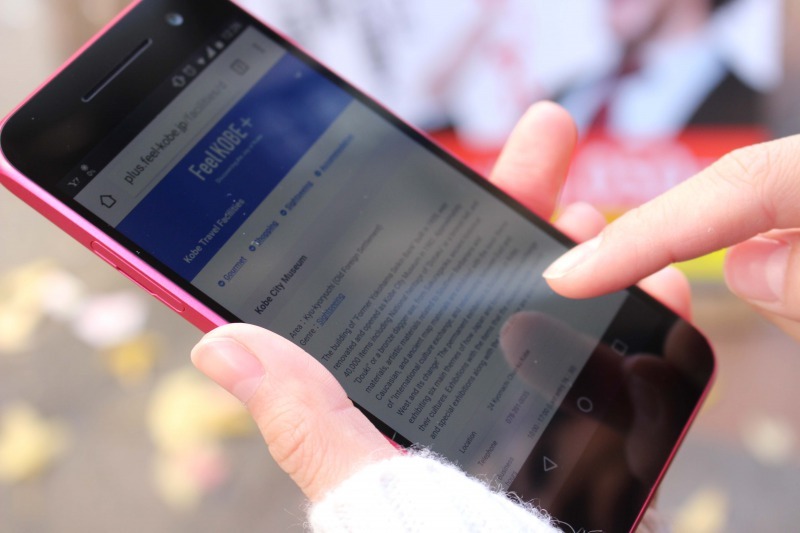 The display language can be selected from 10 languages: English, Korean, Chinese (both simplified and traditional), Thai, French, German, Spanish, Indonesian, and Vietnamese. 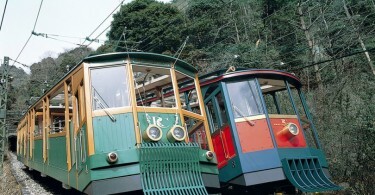 The service covers the Sannomiya area (Sannomiya, Motomachi, Kyukyoryuchi (The Former Foreign Settlement), and Kitano). *For map coverage, please check out the area within the red line. 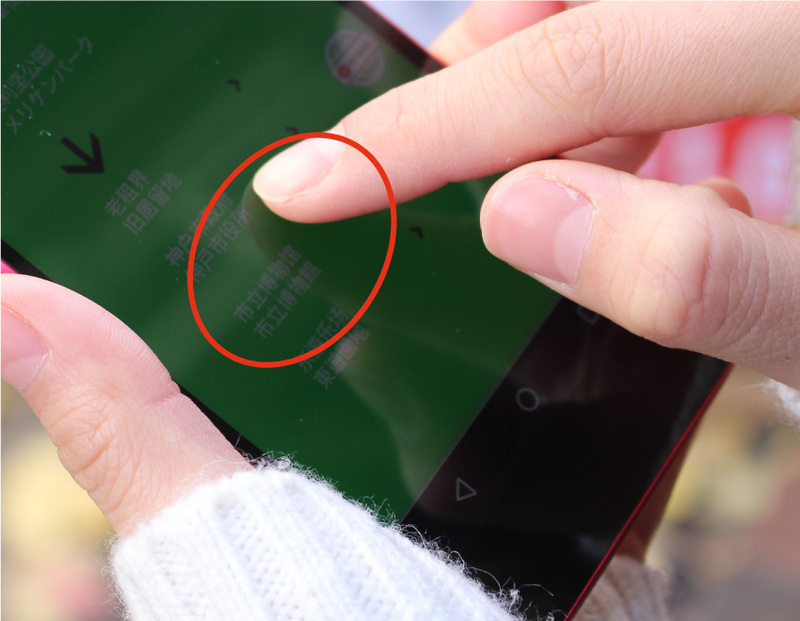 We asked Ms. Linlin from China to try the Smart guidance. 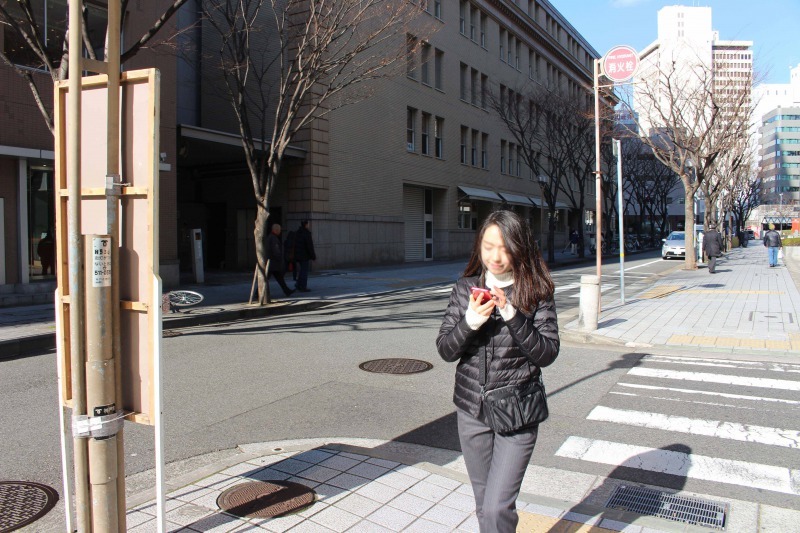 She was watching the guide board when we had interviews. 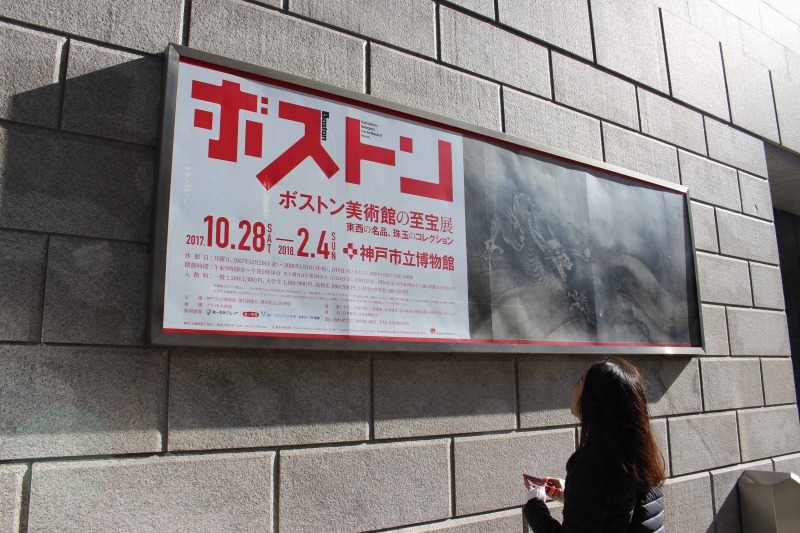 When she was looking at the guide board to find her way to Kobe City Museum, where there was an exhibition featuring masterpieces form the Museum of Fine Arts Boston, she could not find the museum on the Area Map. 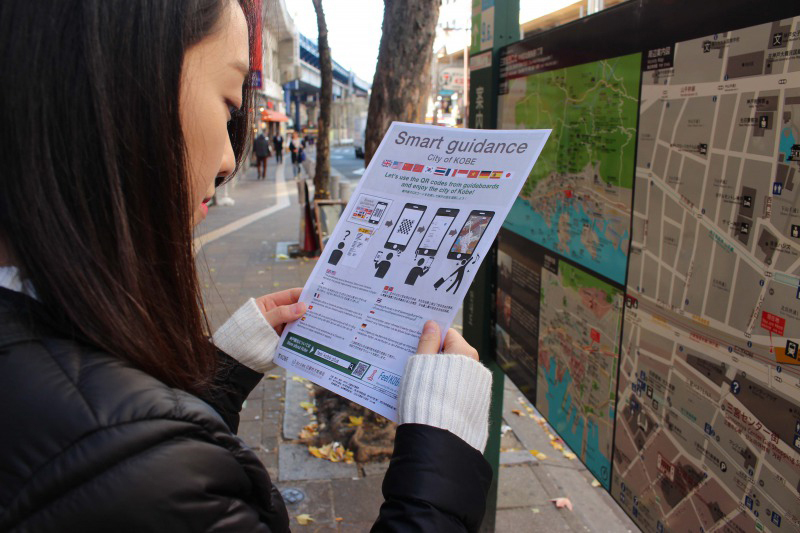 So we gave her a leaflet and asked her to try the Smart guidance. 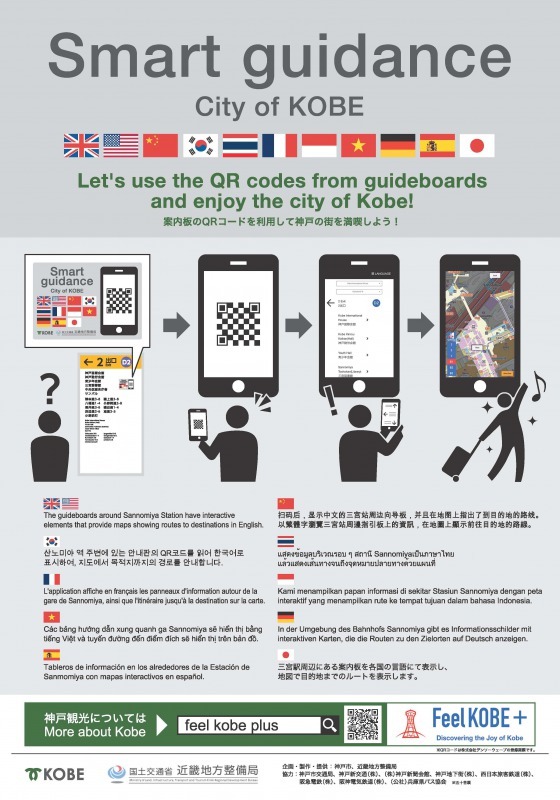 ①Finding a QR code on the upper right corner of the Guide board! 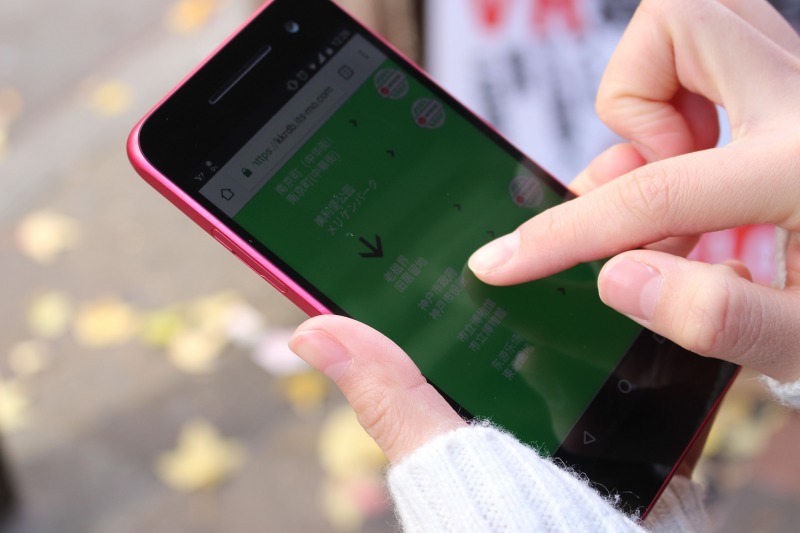 ②When reading the QR code with her smartphone, simplified Chinese was automatically selected using the default setting of the browser. 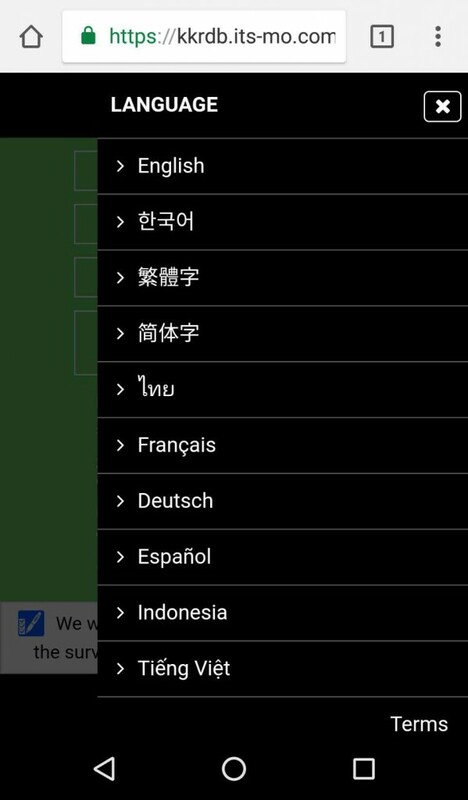 *You can also manually specify the language by selecting from the pull-down box. 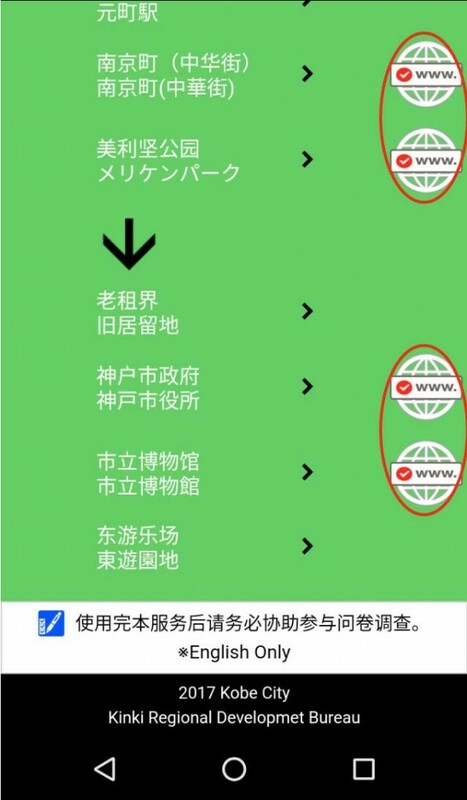 ③Facilities with “www.” globe sign (red circle on the right end of the screen) have links to their websites so you can also check the information of each facility and its surroundings. 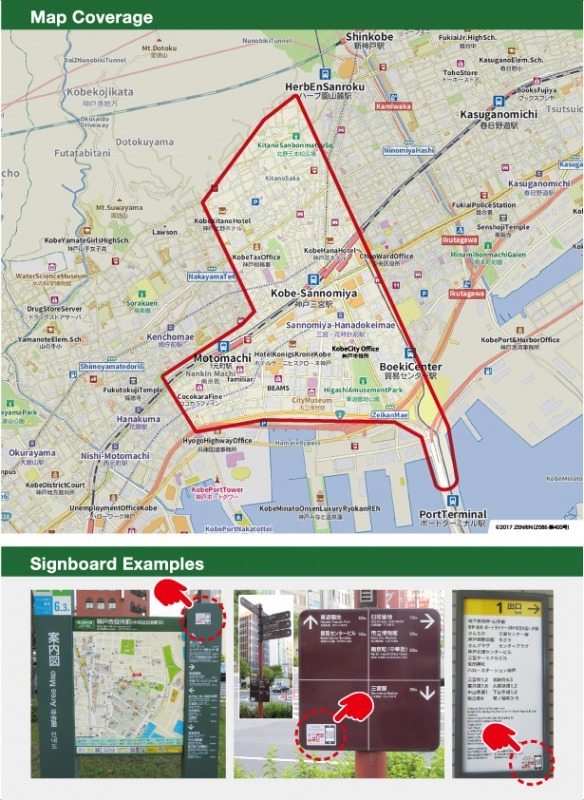 ④When touching the destination “Kobe City Museum,” the route was displayed on the map. 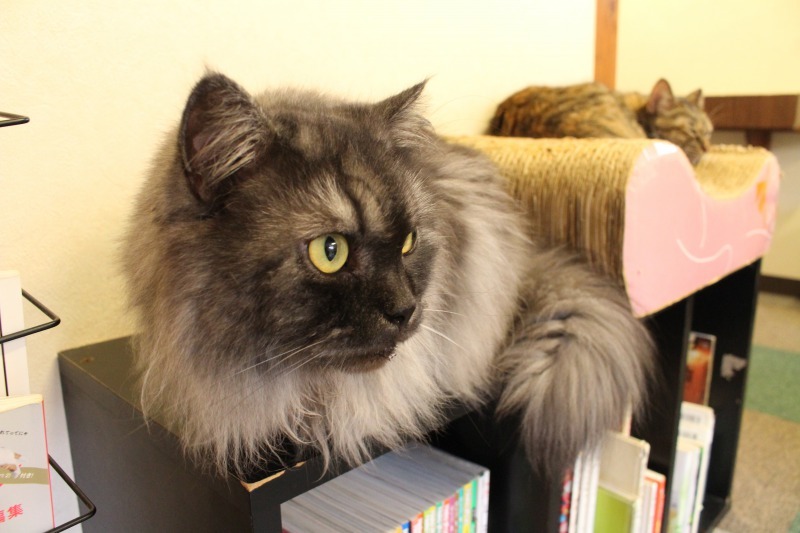 ⑤Ms. 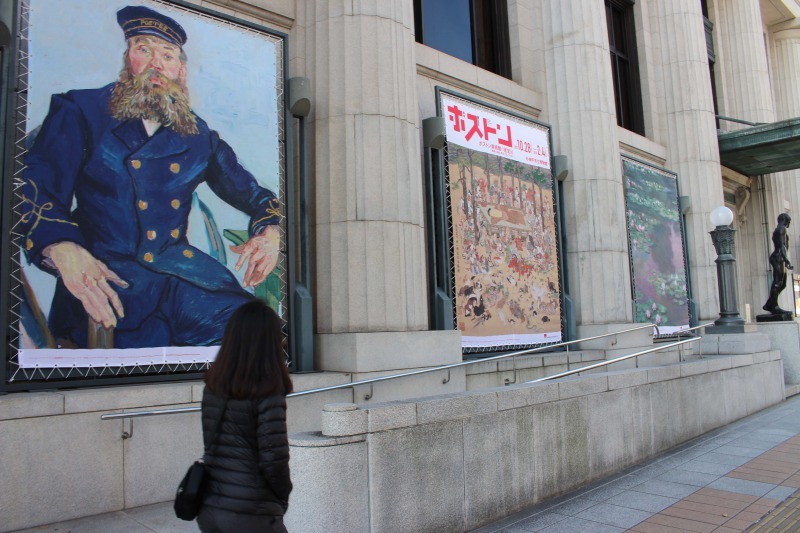 Linlin allowed us to accompany her to Kobe City Museum. 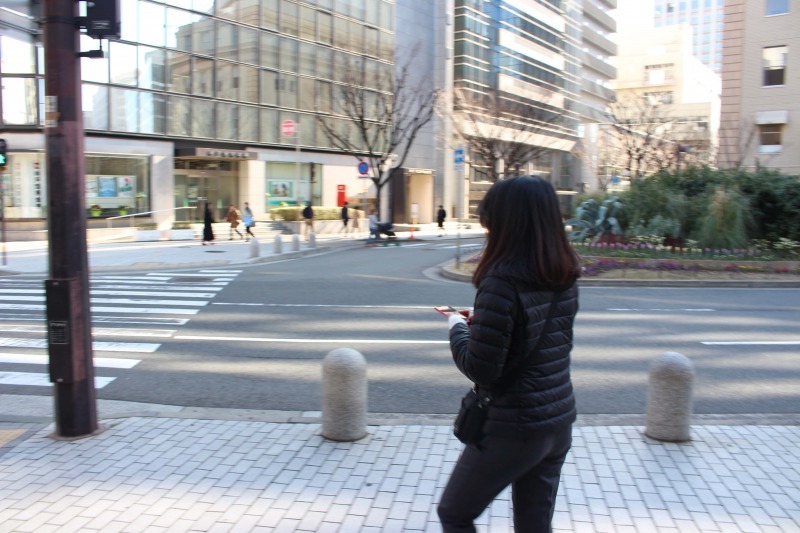 She was able to reach the destination on her own without getting lost by displaying the detailed map with her smartphone. 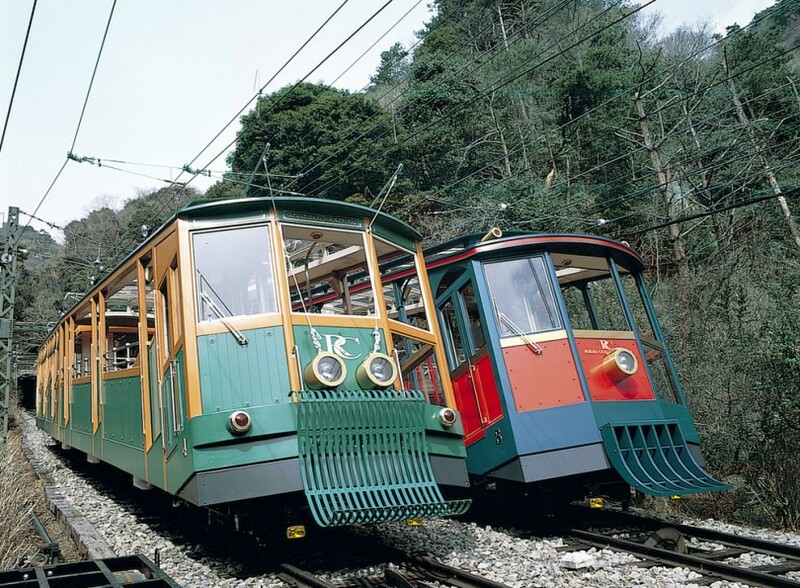 At the initiative of the Kinki Regional Development Bureau, Ministry of Land, Infrastructure and Transport, The Smart guidance has launched on a trial basis by receiving support from Kobe City and local railway companies. 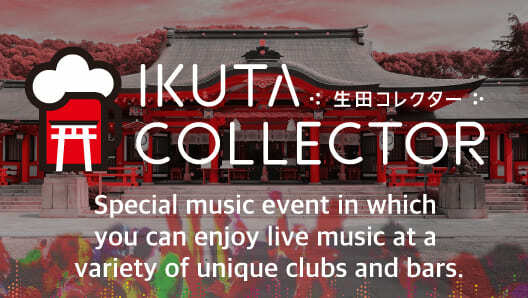 We can say that this service is innovative because it also supports underground malls in Kobe. 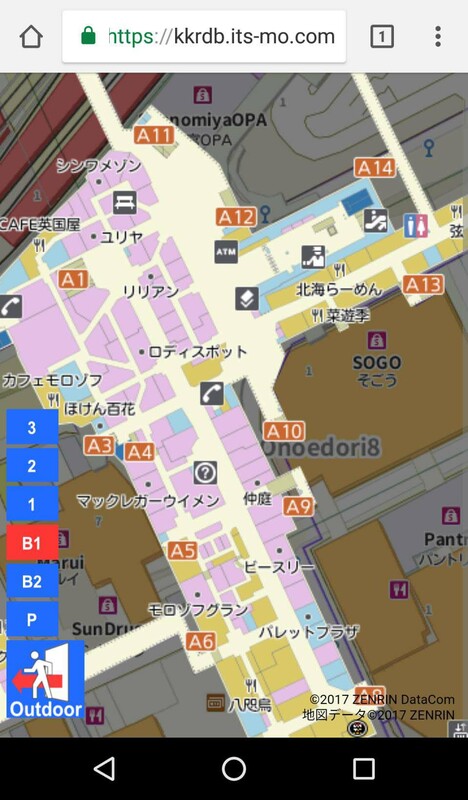 At the moment, the underground mall maps only support in Japanese. 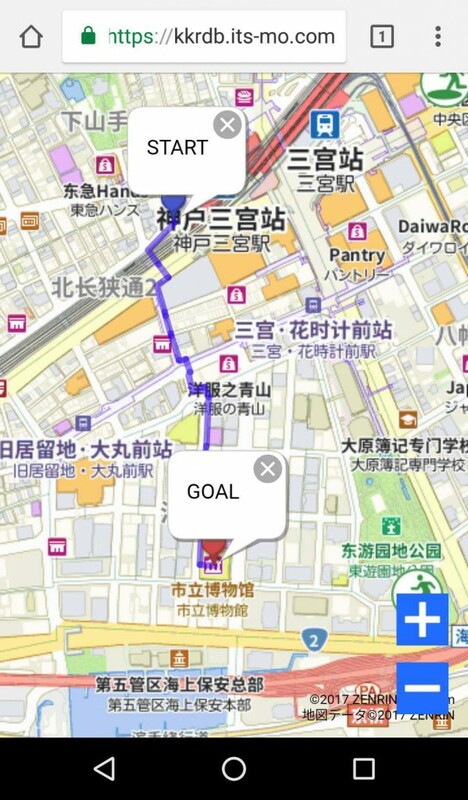 We will expect to have this function in multiple languages in the near future because there are many underground malls around the Sannomiya area. 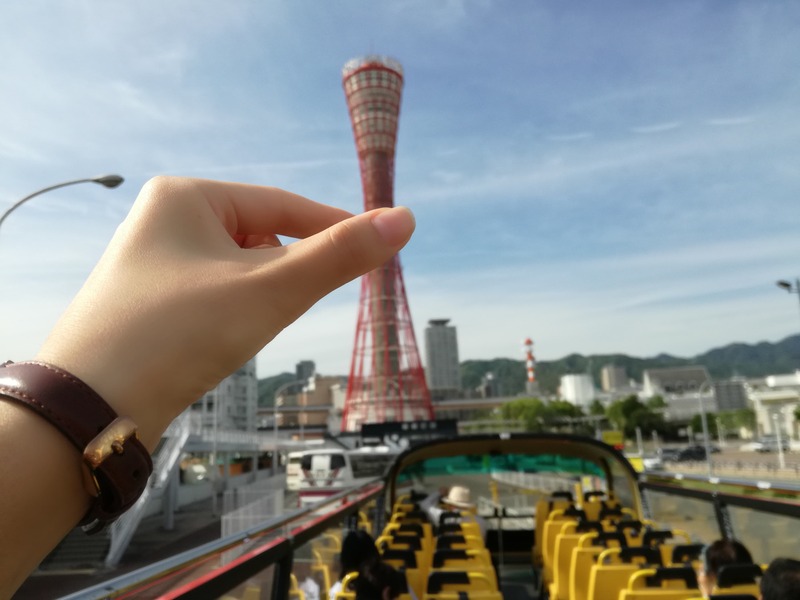 Port of Kobe commemorated its 150th anniversary this year and many overseas cruise ships that can accommodate thousands of passengers has called at the port. 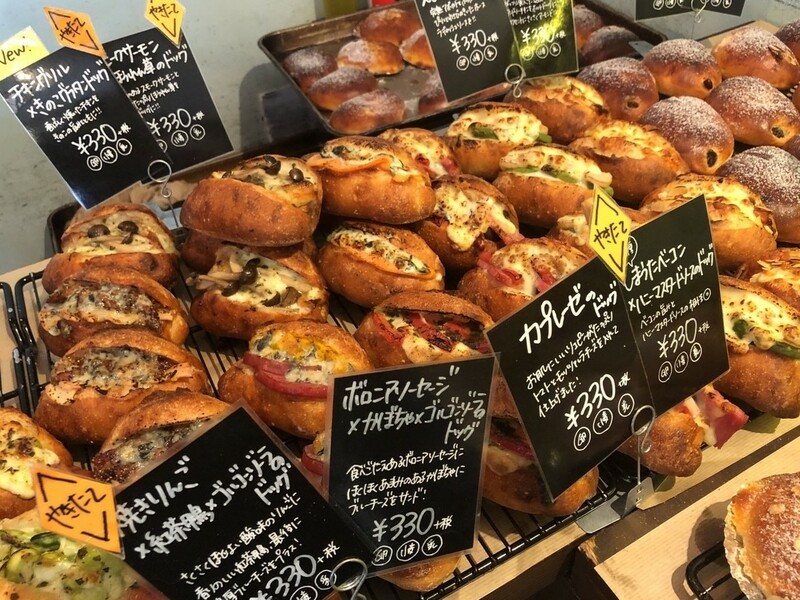 There are a variety of attractive tourist spots such as Kitano, Nankinmachi, Kyukyoryuchi (The Former Foreign Settlement), and Harborland where foreign tourists can easily walk around. 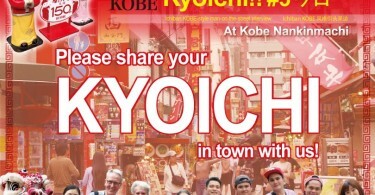 We believe that Kobe will further prosper as an historical international city if Kobe can further bring great convenience to overseas visitors. 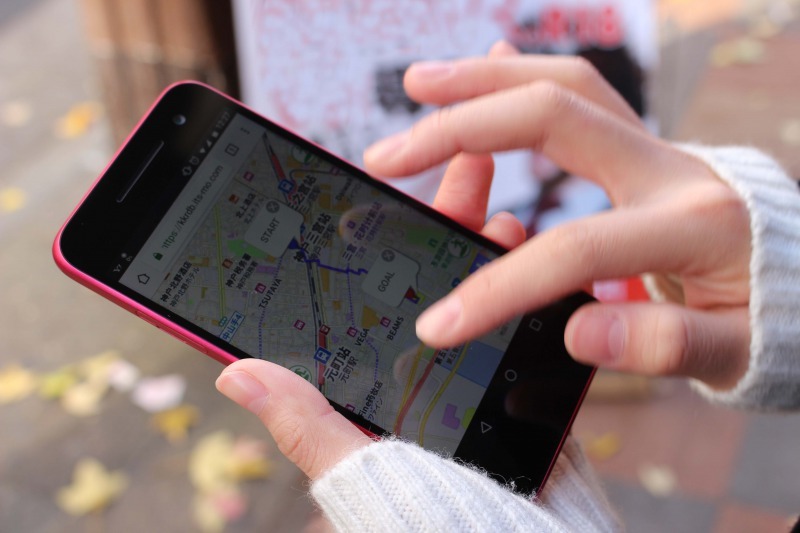 This will be achieved by increasing the recognition of the Smart guidance and expanding the coverage of the maps. 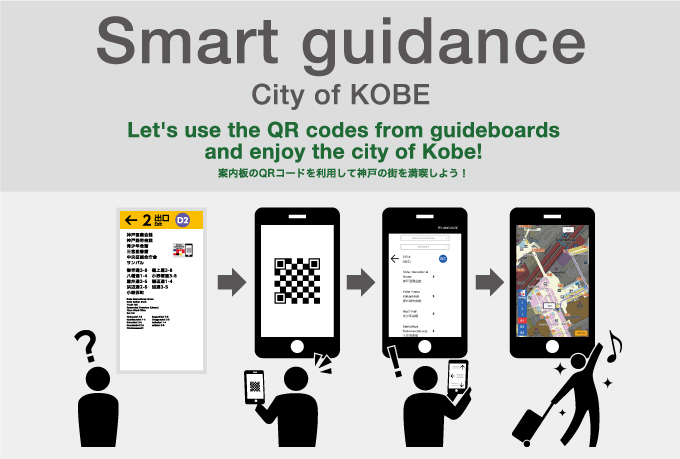 We hope that the Smart guidance will expand its service and will attract more and more users.